Fin de siècle France: the French bohemia welcomes the avant-garde. 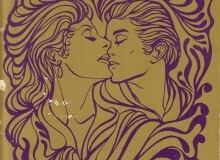 It sweeps in and destroys all current preconceptions. 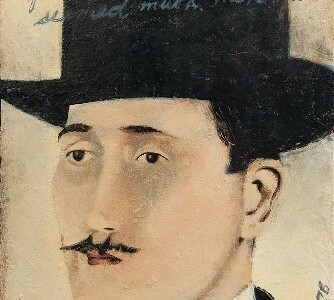 Apollinaire (1880 –1918) was a well-known French poet, writer and art critic. 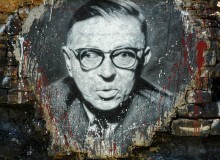 He was one of the first artists to represent a new movement of visual art and literature – surrealism. The goal of this movement was to rise above the normal vision of the world and to reach its essence. 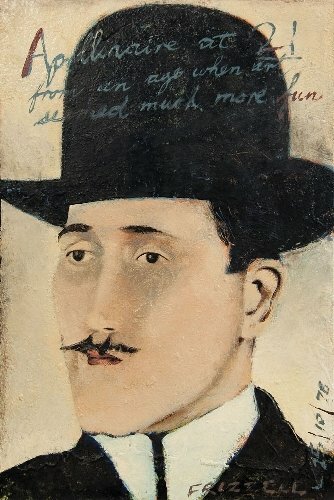 But Apollinaire stands out long before the surrealist movement truly begins. 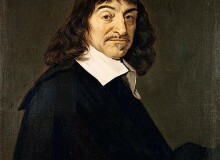 He perceives the purpose of contemporary poetry in a much more radical way. 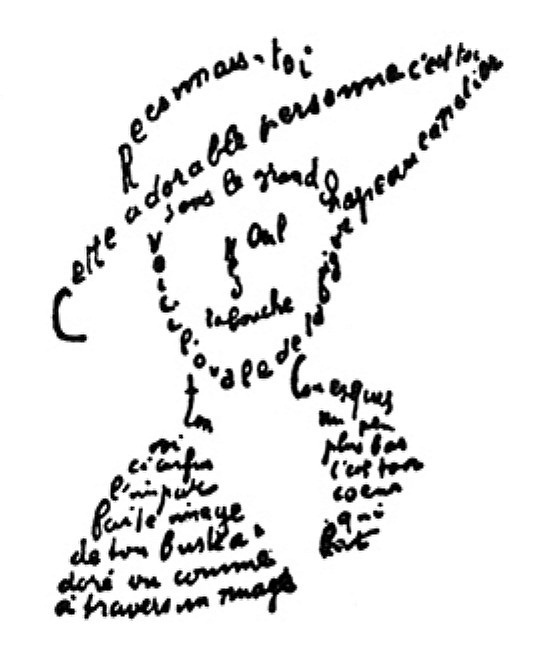 Apollinaire was one of the first to paint with words. He began sixteen years before Stéphane Mallarmé had constructed typographic signs into carefully orchestrated into designs in his ‘Un coup de dès jamais n’abolira le hasard’ (France, 1897). Different sized words were twisted into strange shapes, performing a ballet-like movement within the monochrome limits of a printed page¹. He clearly saw the same necessity in his poetry: the punctuation points no longer had power. 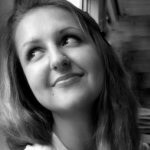 Painting the content of the poems with their words could make paper shout and cry. 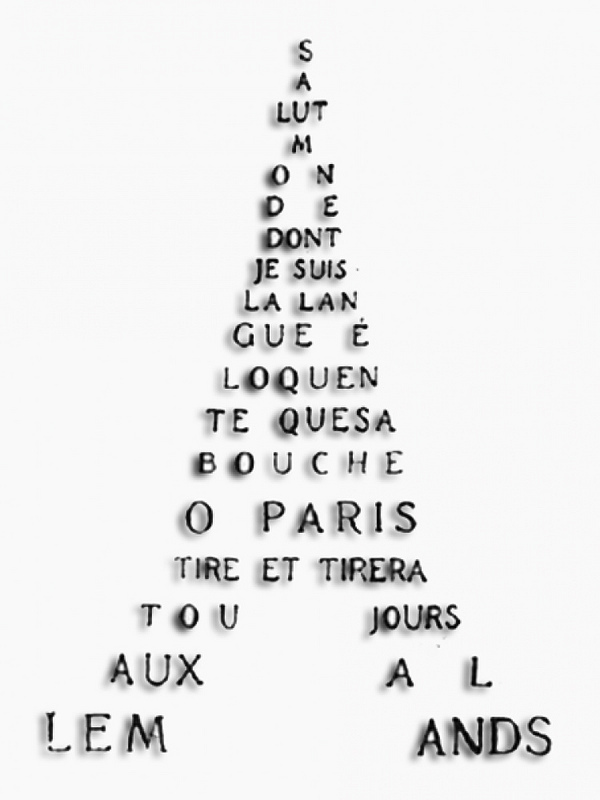 Could there be any better way to revive the French symbol, la Tour Eiffel? 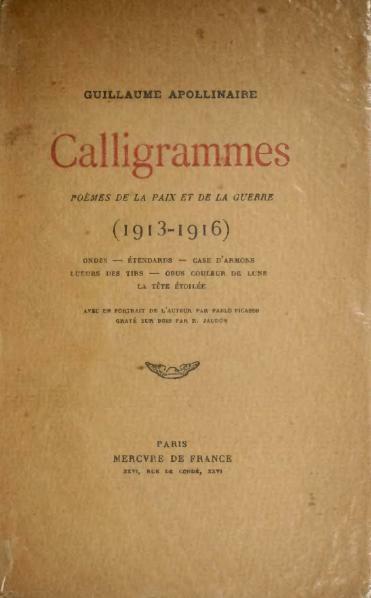 ‘Calligrammes’ was published several months before Appolinaire’s death in 1918. His final collection of poems incorporated words, letters and phrases in complex visual collages. Black type on the white of the printed page became a new field of experimentation³. 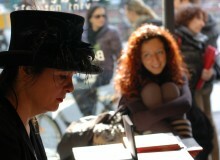 The French author transformed poetry: left to right, top to bottom. The usual rules and conventions were no longer applicable. Shouldn’t this idea still apply today? 1. Reading Apollinaire, T. Mathews, 1987. Image Credits : all taken by Christina Lutsik. 1. 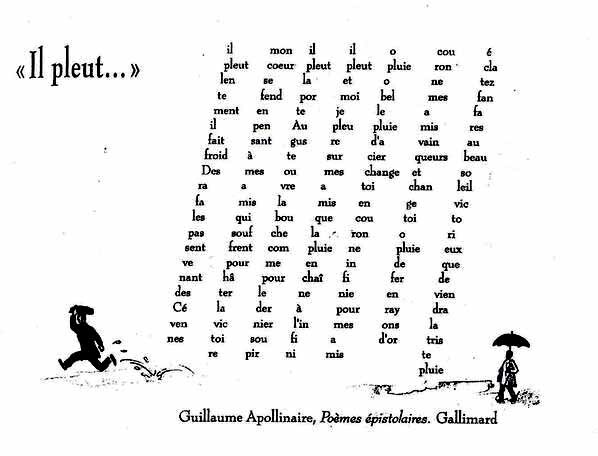 ‘Il pleut’, Apollinaire, Calligrammes, 1918. 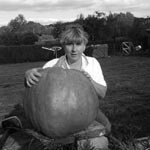 Adored this article – never heard of this wonderful artist before – now I am smitten.